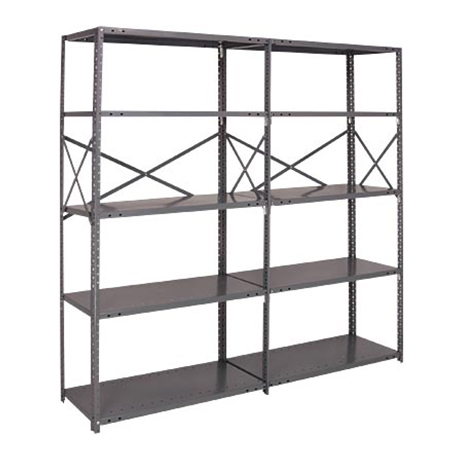 Steel shelving is perfect for storing a large range of items, though it is especially suited for small parts storage. Shelves clip into place using compression clips that adjust on 1” centers making for quick adjustments. With many different sizes and capacities readily available for quick shipment.